The feeling of tight calf muscles trying to tug away from the bone sounds pretty miserable, right? But this sensation is common enough among athletes that the sensation has been given the common moniker “shin splints.” When the body works hard, aches and pains are common enough complaints. But when those minor aches cross the line into pain, figuring out what to do can be a conundrum. Ice baths, heat pads, over the counter pain medication, and a plethora of other methods are used to treat the symptoms that come after we’ve worked ourselves hard. Before you start worrying that you’ll need surgery or rounds of medication to help your body heal, start with a non-invasive option: chiropractic care. The Revelation Chiropractic team will work with you to get to the root cause of your pain, rather than simply try to treat the symptoms with medication. By focusing on your spine and nervous system, we can find what is causing you pain and treat that injury, which helps your body heal and alleviates pain. Chiropractic care is there to help anyone maintain optimal health and function. Chiropractic adjustments aren’t strictly reserved for adults either; children can benefit just as much from regular visits to a chiropractor. When it comes to fitness, chiropractic care is especially important because it can help prevent injuries, not just treat them. Whether you work out to keep your body healthy or you participate in sports year-round, chiropractic care can help you minimize the risk of injury so you don’t have to take time off to heal. Or, if an injury has already struck, we can treat the root of those injuries to help you get back to your routine more quickly—often without medication or surgery. No matter what your level of fitness, chiropractic adjustments can help keep your body properly aligned so you can perform at your peak. You don’t need to run a marathon once a month for your body to feel the strain of a hard workout. Competitive and individual sports, races, and even days at the gym are all times at which we push our bodies and our physical limits. While exercise is generally very healthy, all that hard work can strain muscles and joints. Without proper care and attention, injuries happen. This is where a chiropractor can help. Our focus is primarily on ensuring your bones and joints are in proper alignment, which allows your body to function better and reduces the risk of injury. There’s a reason so many professional athletes seek chiropractic adjustments on a regular basis. Working with a chiropractor regularly can help you prevent the sorts of injuries many athletes face. 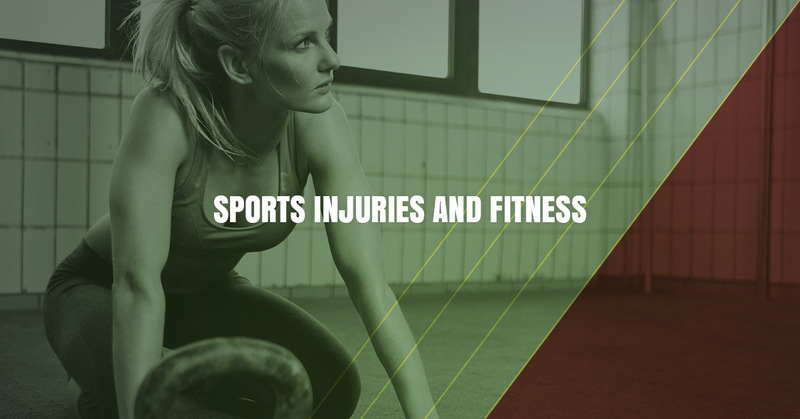 During your first visit, we will take the time to get a comprehensive idea of your health and concerns, including questions about how you train and what you do to stay active. We will also take the time to see how your joints, ligaments, back, and neck are doing. With that comprehensive view of how your body is doing with your exercise routine, we can develop the right chiropractic treatment plan for you. Ultimately, the goal is to keep you aligned, which helps your muscles and joints work the way they’re supposed to. This reduces the strain and helps keep injuries from happening. When it comes to sports and workouts, the most damaging things aren’t necessarily accidents that you can’t plan for. Instead, the hardest things on your body are forceful impacts, repeated motions, and pushing too hard without warming up appropriately. You aren’t likely to sprain your ankle just because you happened to put your foot down wrong; it’s more likely to be caused by the repeated jarring from running and your joint coming out of alignment. Regular chiropractic visits can help prevent that from happening, but if it’s too late, our treatment options can help those injuries heal without surgery. Chiropractic treatments for injuries may include things like heat, ice, and electric stimulation, but the primary focus is going to be on working your body back into alignment, which allows the injuries to heal and sets your body up to function better in the long term. Be sure to mention all of your symptoms, no matter where in your body they occur. Because of the spine and nervous system, even symptoms that seem entirely unconnected may be caused by your injury. Your body helps you do so much. Give it the care it deserves for all that hard work. Whether you’re looking for non-invasive injury treatments or you’d like to keep your bones and joints where they should be for proper function, your local chiropractor can help. Contact the Revelation Chiropractic team to learn more about how we can help your body function at its optimal potential!